This is an old timer Kampung Cempaka place where one can find many old folks lazing around. It is very well stocked with lots of liquor for the night time. However, where least expected, you can actually find affordable good food here, for lunch that is. 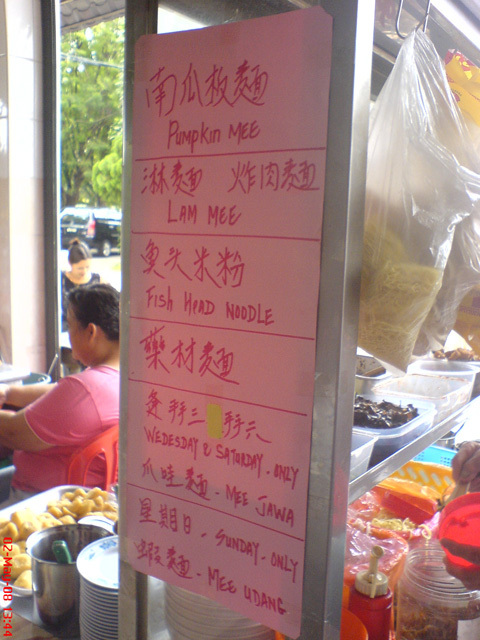 For example this stall has lots of variety of noodles, like pumpkin mee, lam mee, fish head noodles, java mee, prawn mee, noodles with black sauce (lam yee) pork and curry mee. Most of the food is still RM3.50 with the exception of the pumpkin mee & black sauce (lam yee) pork at RM 4 when most places are selling their noodles at RM 3.80 or RM 4. Apart from that stall, there is a stall operated by a china lady which serves mee sua with lots & lots of bitter gourd! Her prices are RM 4 though. The ‘tai chow’ stall is also good for its fried rice where it exudes a fragrant seafood aroma after being fried with prawns, prices here are RM 4.50. 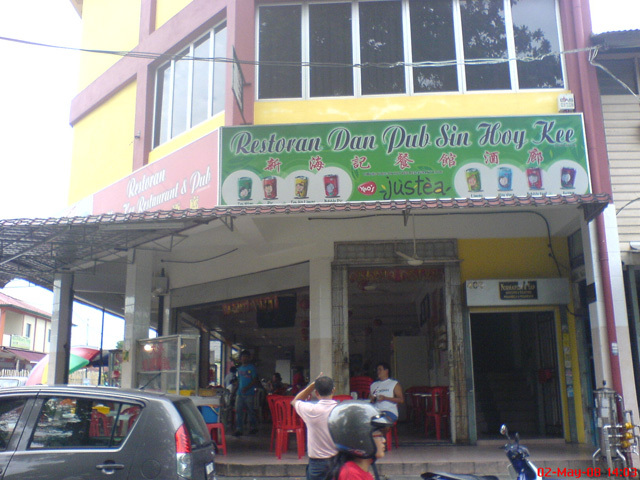 This entry was posted on Wednesday, October 8th, 2008 at 6:51 pm	and is filed under Coffee Shops, Heavenly Klang Valley Food. You can follow any responses to this entry through the RSS 2.0 feed. You can leave a response, or trackback from your own site. why cannot delete comment? ignore that childish comment which posted since 2009 Feb 12 from me. Awkward. Sorry, this feature not available with my version of wordpress. Anyway, I have deleted it for you. Cheers.